Tag - Display Monday to Sunday. 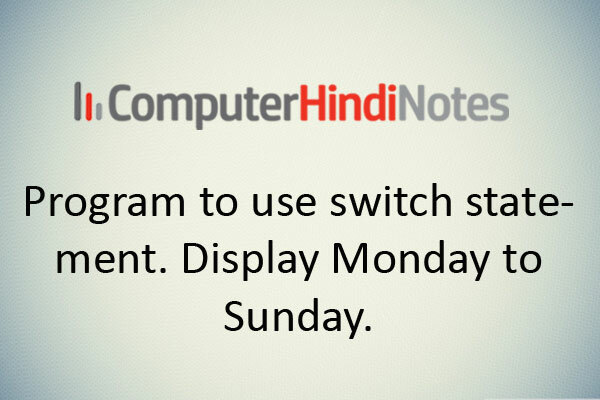 Program to use switch statement. Display Monday to Sunday.